Combine 2 1/2 Tbsp. cilantro, onion, garlic and 1 Tbsp. 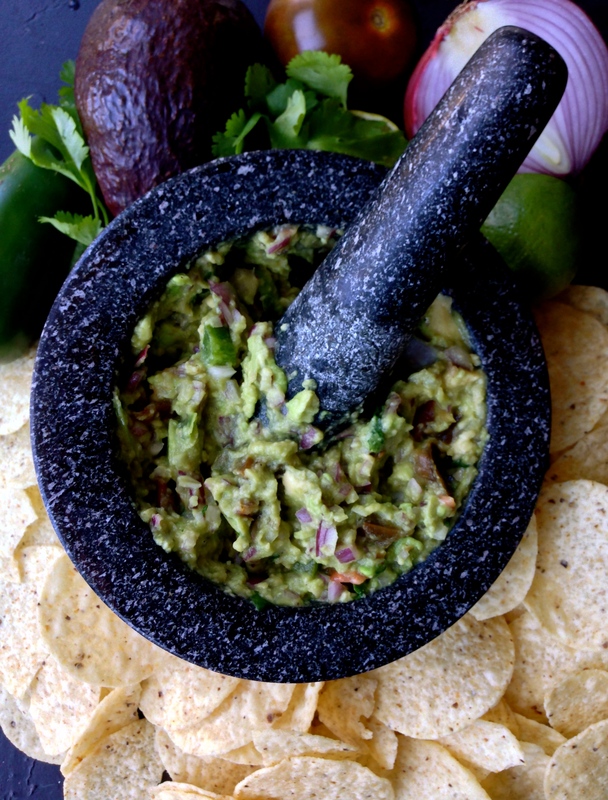 jalapeño in a mortar or a large bowl; season with salt and mash with a pestle or the back of a fork until a coarse paste forms. Using a small knife, cut flesh (not skin) of each avocado lengthwise into 4 strips, then crosswise 4 or 5 times, forming cubes. Using a spoon, scoop cubes out of peel and into mortar with onion mixture. Mash until slightly chunky. Mix in remaining cilantro and jalapeño along with the tomato, lime juice, and zest. Season to taste with salt. Serve with tortilla chips. Can be made 4 hours ahead. Press plastic wrap on surface of guacamole and chill. am hopіng you write once more very soon!